Incredible opportunity to get into the elite community of Aspen Woods. 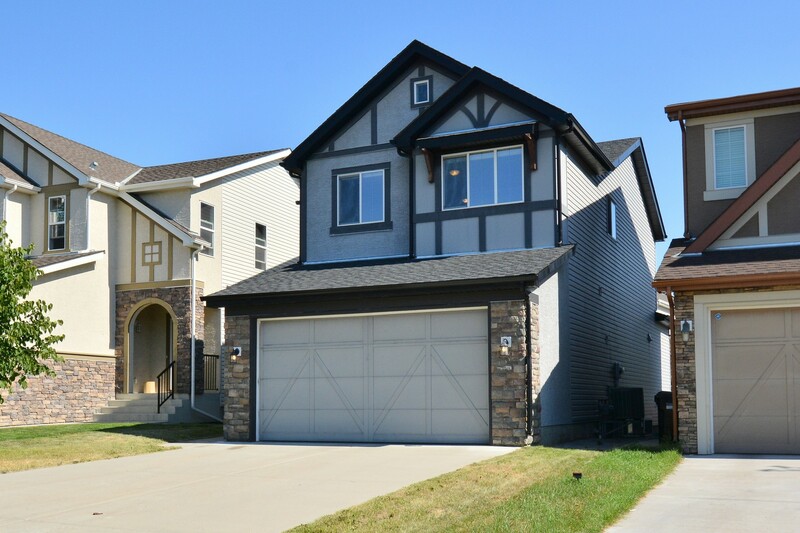 Walking distance to the new Guardian Angel School (K-6), WEBBER ACADEMY and CALGARY ACADEMY. This stylish 2-storey family home boasting almost 2,000 sq ft of above grade has lots to offer: AIR CONDITIONING, OPEN CONCEPT and HARDWOOD throughout the main floor. Featuring a SPACIOUS GOURMET KITCHEN with GRANITE COUNTERS, UPGRADED STAINLESS STEEL APPLIANCES and CENTRAL EATING BAR, GREAT ROOM, mud/laundry room, WALK-THRU PANTRY, dining/nook area with patio doors to the elevated rear deck. Three bedrooms up include a relaxing master suite with WALK-IN CLOSET, SOAKER TUB, double vanities and separate shower. A sunny, bonus room is the ideal family spot. The basement is untouched with roughed-in plumbing and awaits your finishing ideas. Outside, you’ll find the fully-fenced yard with a paving stone patio and a raised, rear garden. Located minutes to downtown, close to schools, Aspen Landing shops/restaurants, transit and all other amenities. Take a look at the additional photos, 360° virtual tour and the floor plan in the listing links to get a full perspective of how lovely this home really is. Available for quick possession! Call today to book your private viewing, for more information or to receive a feature sheet! Scheduled to hit the Calgary MLS® market July 31st, 2017.